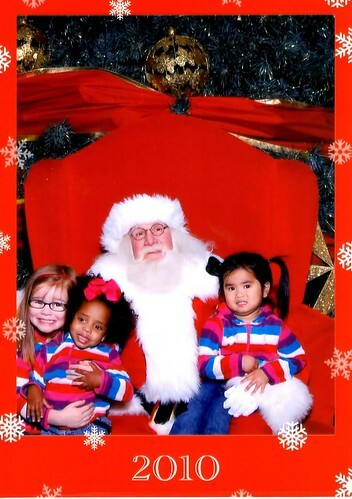 Pictures with Santa. 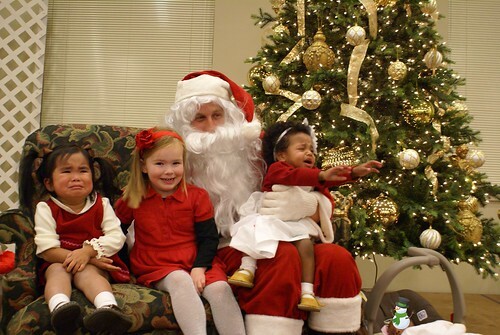 I can't help but smile at each and every picture of our kids with Santa over the years. It truly shows the evolution of our family. For example, Christmas 2001. Hubby and I were dating. 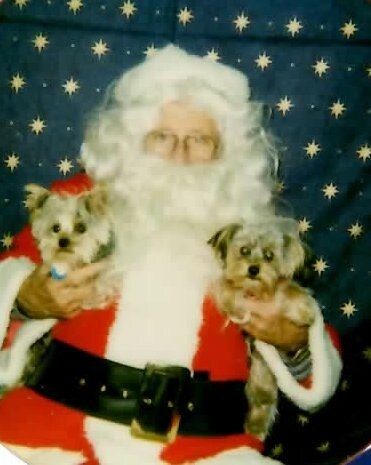 Earlier in the year, we each adopted a yorkie. Sisters. He had Sadie and I had Hailey. I always think, "Man, what did we do before we had kids?" Looking back on this photo, I am reminded. 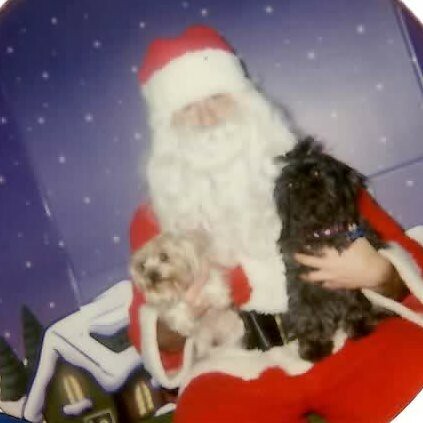 We bought cute outfits for our yorkies and took them to the dog park :o) Oh, and apparently we took them to see Santa at Christmas. Haha! This picture brings back SO many memories. 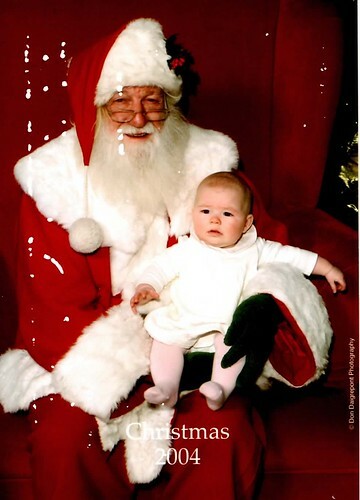 I remember everything about that day...probably because we videoed the entire meeting and watched it a hundred times :o) My oldest baby girl at six months old...be still my heart! 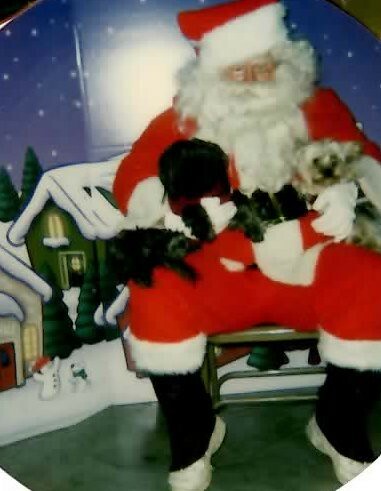 Christmas 2007...two kids must have rocked our world because I have NO picture evidence that we went to see Santa :o) Haha! 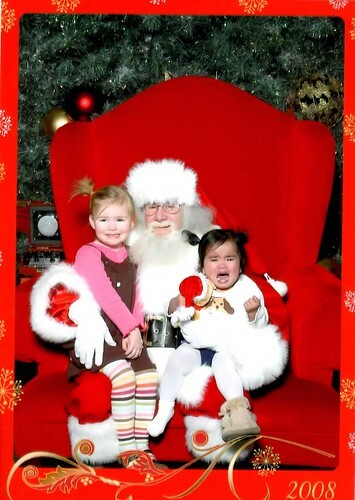 Christmas 2008...I hate to admit it because of Sophie Le's obvious distress, but this is probably my all-time favorite picture with Santa! Haha! Every time Sophie Le sees this picture, she says, "My shoe popped off." Haha! 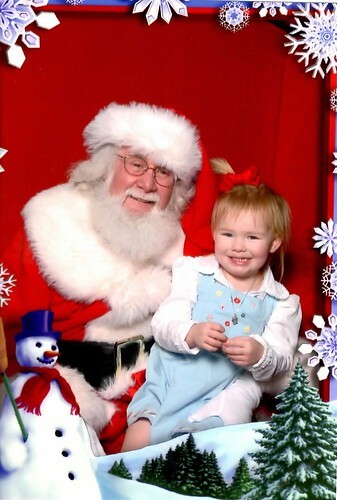 Nothing about Santa...only her shoe! 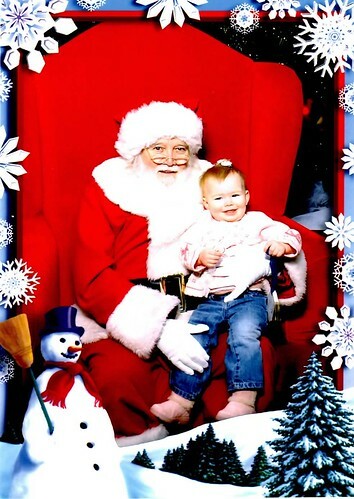 Christmas 2010...that brings us to present day :o) Sophie Le actually ASKED to see Santa this year. I was shocked! This year, it was Julianne's turn to flip out :o) You can't tell from the picture, but it was a MAJOR flip out...I think Santa even got a little stressed...haha! So, let's see your pictures! You can post this years, your favorite or as many as you want. I just LOVE the story each picture can tell.